This 3 ways Kitchen sink mixer with a drinking water flow, two handle separately operate. Outlet water pipe can be 360° swivel. One hole deck mounted, easy to install. It looks simple and practical. Kitchen sink mixers` main body use low-lead brass gravity casting. The surface treated by 8 - 12μm thickness electro plating, polished chrome finished looks like a mirror, bright and corrosion resistance. 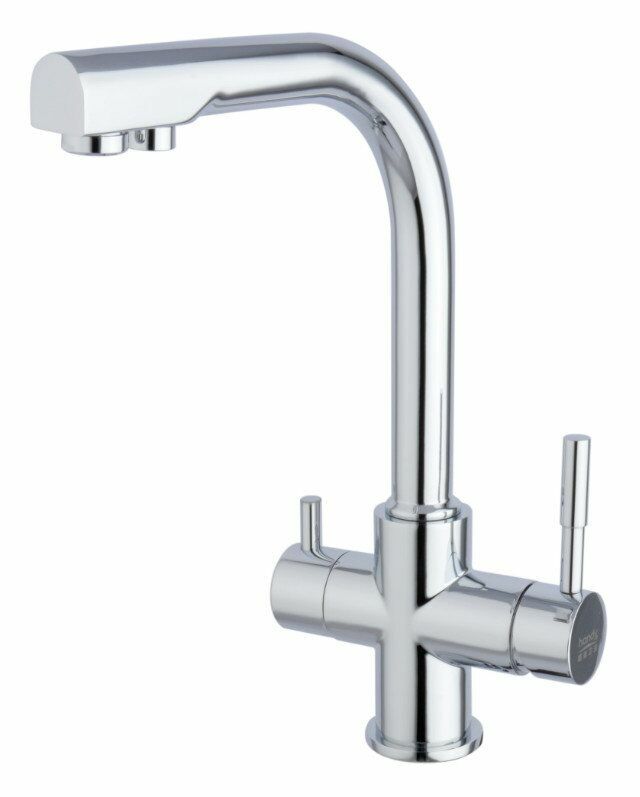 Kitchen sink mixer tap is one of the most constantly used items in your kitchen, so we place huge importance on creating products that stand the test of time and make your kitchen a more wonderful place to cook. Kitchen sink double taps. One for mixing water, the other for drinking water. Braided hose: 3 * 50cm cold and hot water inlet hose. Looking for ideal Three Ways Kitchen Sink Mixer Manufacturer & supplier ? We have a wide selection at great prices to help you get creative. All the Kitchen Sink Double Taps are quality guaranteed. We are China Origin Factory of Swivel Kitchen Sink Mixer. If you have any question, please feel free to contact us.